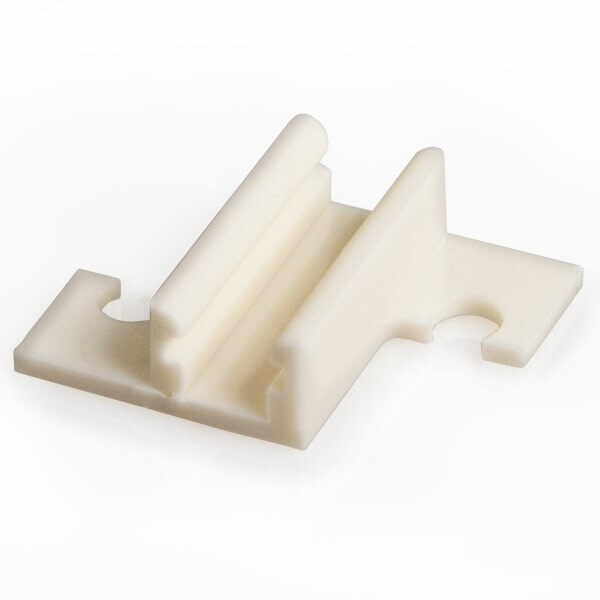 Plastic mounting clip for RLBN series light bars. 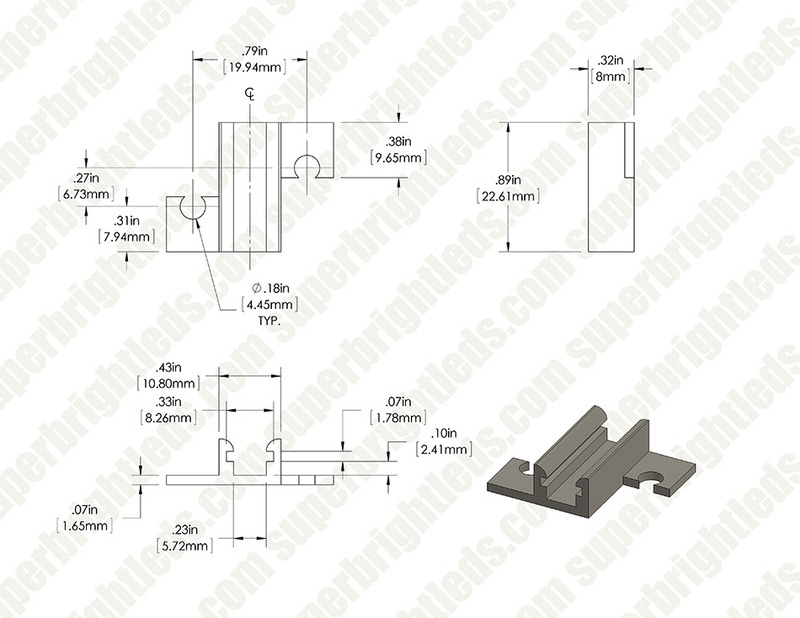 Mount by adhesive backing or two screw holes spaced 0.65" apart. Measures 1.15" wide x 0.89" long.